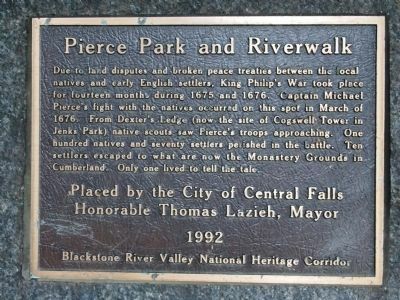 Erected 1992 by Blackstone River Valley National Heritage Corridor. Location. 41° 53.684′ N, 71° 22.966′ W. Marker is in Central Falls, Rhode Island, in Providence County. Marker is on High St. Touch for map. Marker is in this post office area: Central Falls RI 02863, United States of America. Touch for directions. (approx. 1.2 miles away); Sylvanus Brown House (approx. 1.2 miles away); First Successful Cotton Mill in America (approx. 1.2 miles away); The Old Slater Mill (approx. 1.2 miles away); Wilkinson Mill (approx. 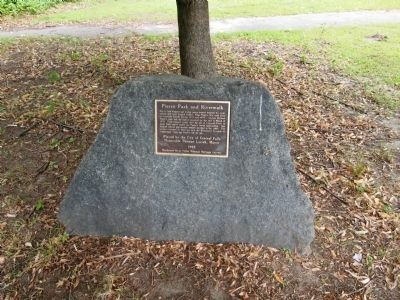 1.2 miles away); a different marker also named The Wilkinson Mill (approx. 1.2 miles away); Waterpower (approx. 1.2 miles away). More. 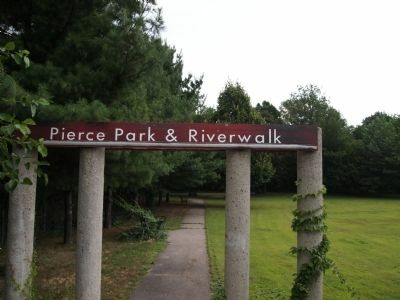 Search the internet for Pierce Park and Riverwalk. Credits. This page was last revised on June 16, 2016. This page originally submitted on July 26, 2011, by Bryan Simmons of Attleboro, Massachusetts. This page has been viewed 1,207 times since then and 33 times this year. 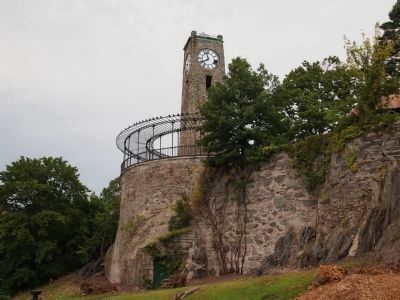 Photos: 1, 2, 3, 4. submitted on July 26, 2011, by Bryan Simmons of Attleboro, Massachusetts. • Bill Pfingsten was the editor who published this page.